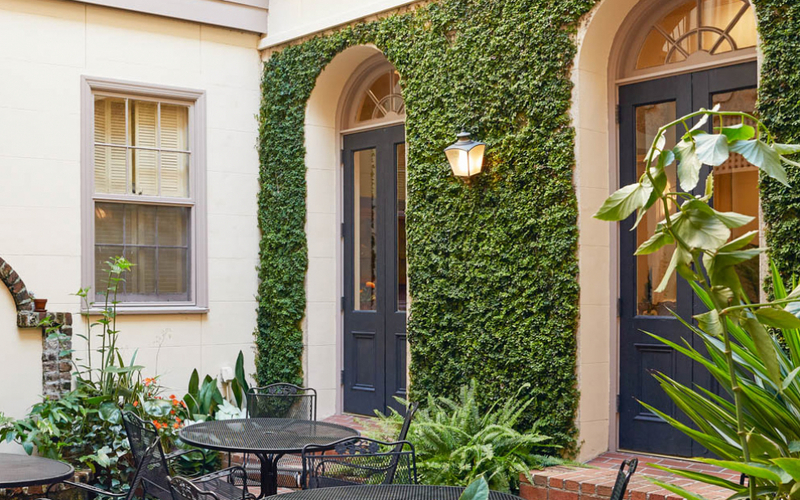 One of the city’s most beloved and captivating historic hotels, the Kings Courtyard Inn charms Charleston visitors with its trio of intimate interior courtyards and beautifully furnished guest rooms and suites, all layered with warm Southern hospitality. 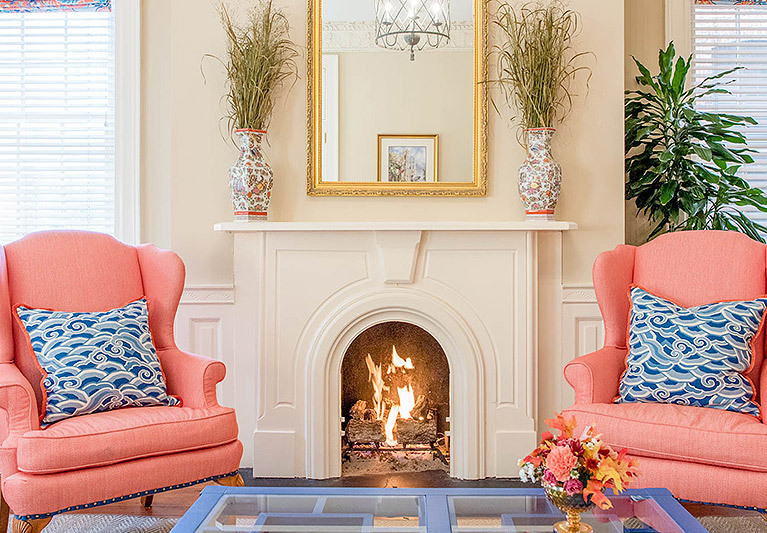 Occupying one of the oldest buildings in Charleston, the inn is awash in decorative details, including original gas fireplaces, hardwood floors, and hand-carved plaster moldings. An unmatched location on King Street. 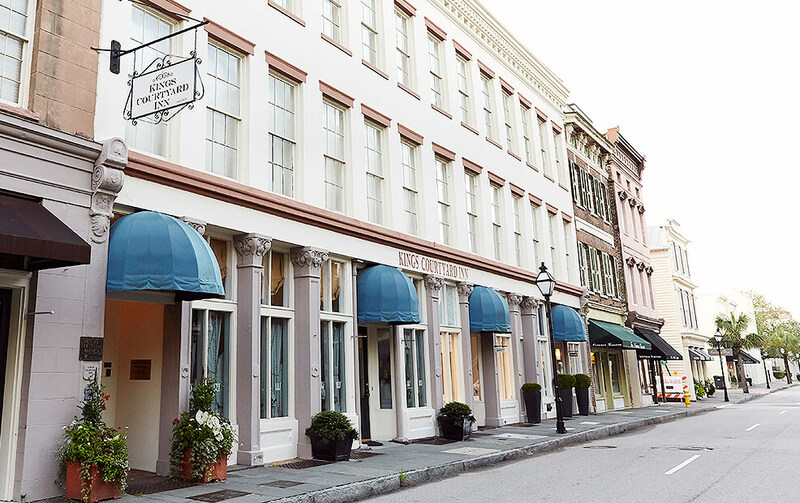 The Kings Courtyard Inn occupies one of the oldest buildings on King Street, an iconic thoroughfare that's home to some of Charleston's most stylish shops, boutiques, and restaurants. Our charming and intimate interior courtyards prove there’s nothing new about “green walls” and “modern gardens.” In fact, we’ve been nurturing these ivy-covered beauties for decades. 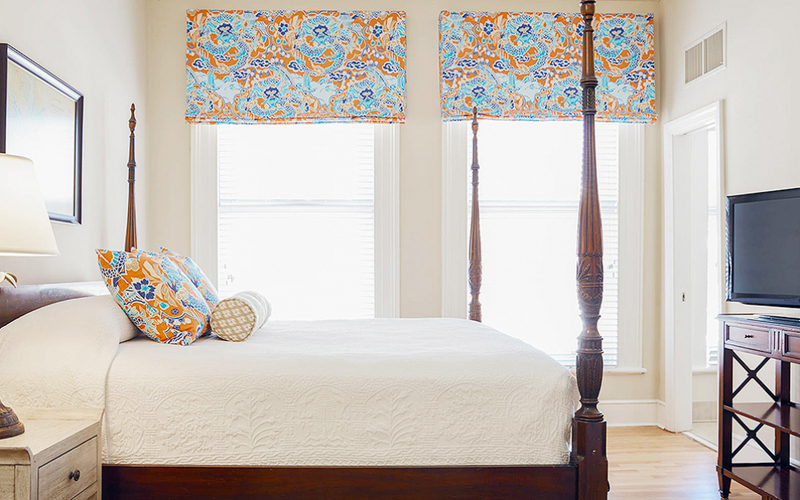 Original architectural details, including beautifully restored hardwood floors and gas fireplaces in select rooms, add a sense of history to your stay at Kings Courtyard Inn. Gracious nods to time-honored traditions. Channel your inner Charlestonian with us. 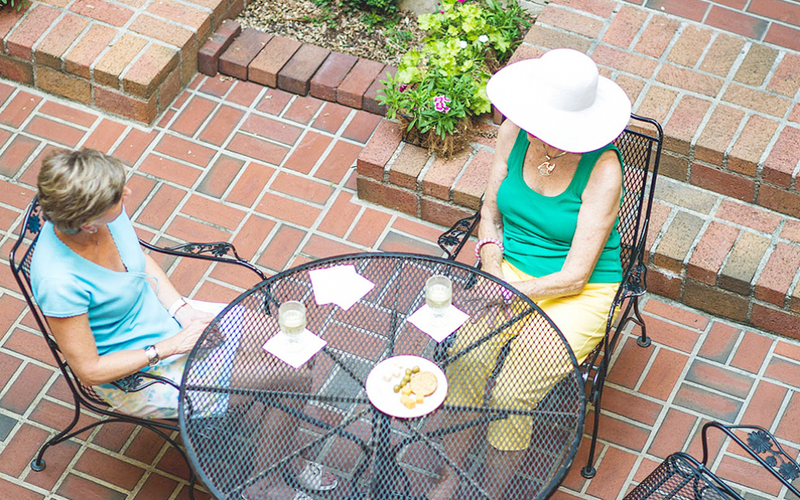 At Kings Courtyard Inn, we embrace Charleston’s cherished traditions, including sherry in the lobby every evening. Quaint hotel in the heart of Charleston. Lovely Concierge-- Great wait staff. Perfect for our annual weekend get together. Wonderful breakfast--we lingered in the courtyard over coffee. Wine and cheese in the evening after a full day of touring. Just the perfect touch. We love Charleston, especially when we can combine romantic accommodations in the heart of the historic and walkable city center. Location is as good as it gets in Charleston. We love to take self-guided walking tours, and being located in the heart of King, Meeting, and Market streets is unbeatable. Charming historic hotel in Charleston. Had a great experience while in the city. Perfect location and the happy hour server Joseph was super humble. He was pure southern class. Kudos to him as my evenings got started just right. Named for King Charles II, our bustling and architecturally stunning thoroughfare is home to many of Charleston’s most acclaimed restaurants, boutiques, and galleries.